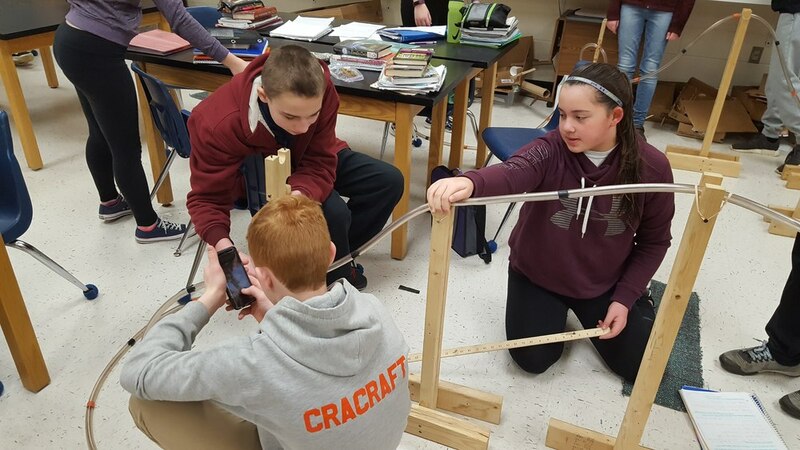 The 8th graders are building Roller Coasters in Science class. The roller coasters will demonstrate the students' knowledge of speed, acceleration, energy, G.P.E. and friction. Each roller coaster must use a loop-d-loop, corkscrew, 2 hills, an 8 foot drop and a constant. They are using the Engineering and Design Process to explore their ideas and design a roller coaster that works!